The circle is perfection. But when you apply mathematics to it, you need to use pi, an indeterminate or transcendental number. Our retina, hence our scope of vision, is circular, though we place emphasis on the horizon, in contrast to cats, which are more sensitive to the vertical. 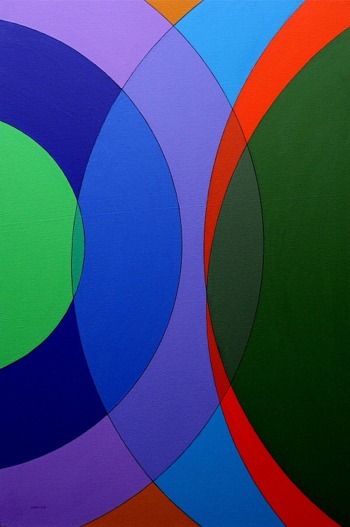 The circle is steadfast and forthright, yet it implies gliding movement along a surface or a rotation in space, forming its noble derivative, the sphere. 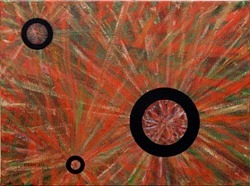 Spiritual mandalas are circles, materialistic coins are circles. 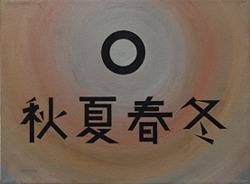 The Zen enso, which is symbolic of the absolute, encompassing the dharma essence and Tao way neither lacking anything nor with anything in excess, is a brush painting of a circle. 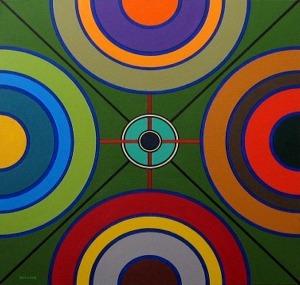 A circle pulls space around it. 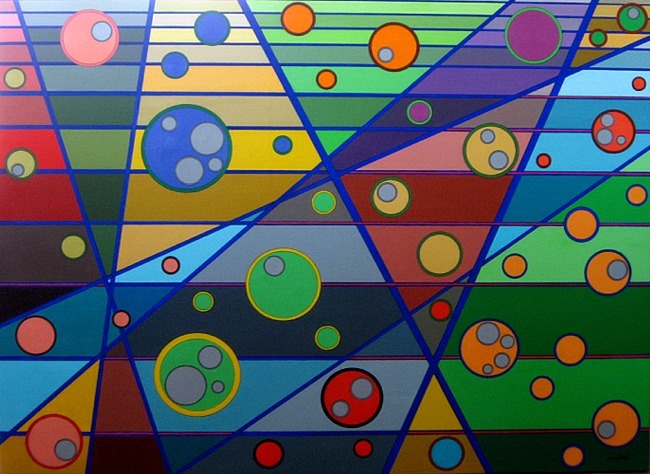 The line is a connection or a path or vector. Bibel discovers for herself what Calder had artistically pioneered and what a child playing with Tinkertoys knows intuitively: the lightness of being. 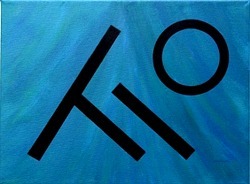 Here are skeletal formations in unbounded space, abstract yet representational and associative. These images are part of an ongoing series, presently totaling 37 works. Monitor this page for new paintings. Primary location of this image is the City Synthesis – Interiors & Exteriors Series. 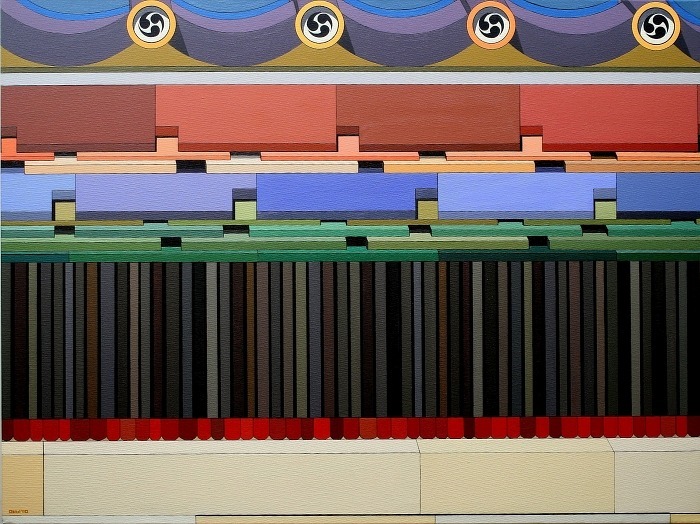 Arks (2012), 24 × 36 in. 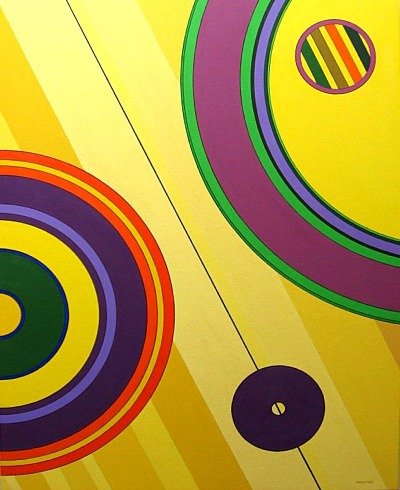 Tornado (2013), 24 × 36 in. 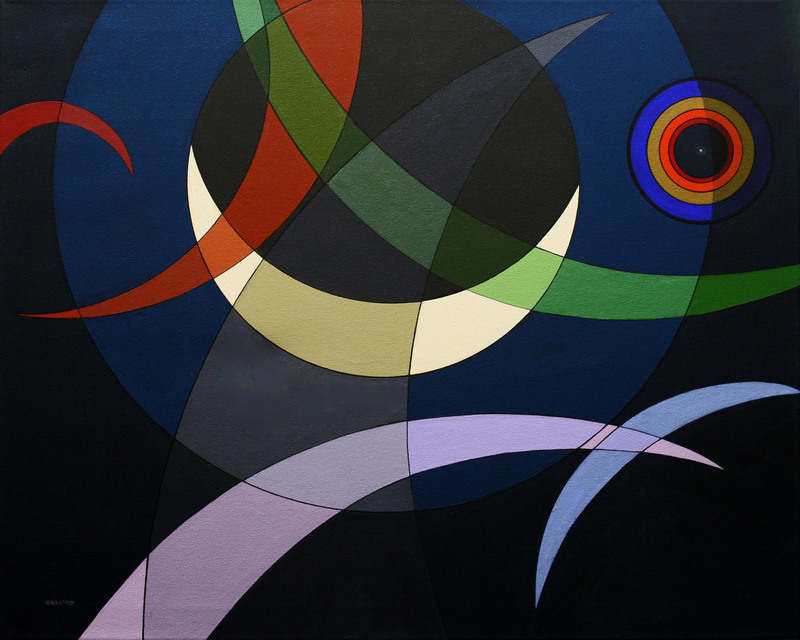 Winter's Harbinger (2015), 30 × 24 in. 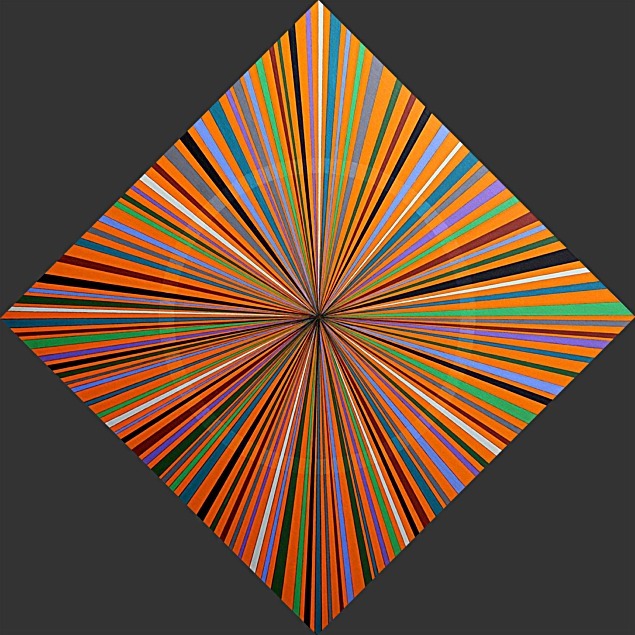 Change (2011), 16 × 12 in. 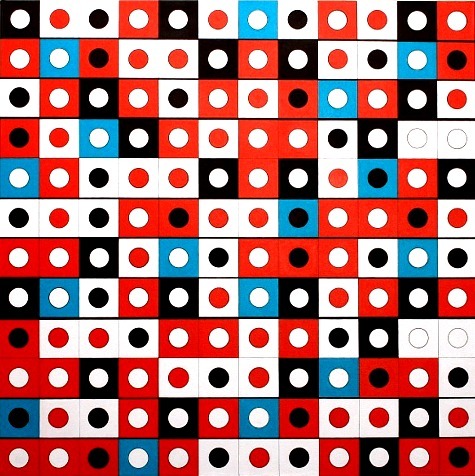 Hua-Yen (2011),16 × 12 in. 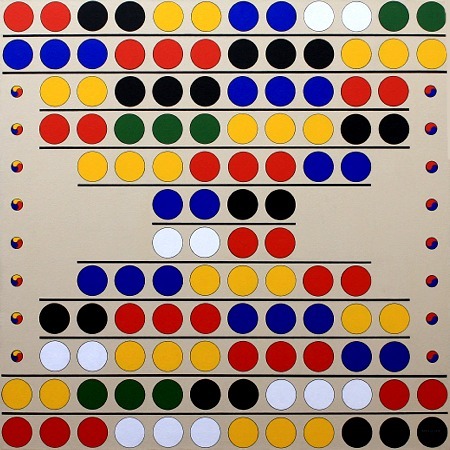 Unity: Not One, Not Two, (2011) 16 × 12 in. 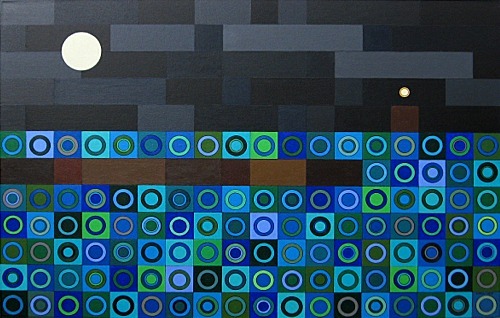 Forest Dharma (2011), 16 × 12 in. 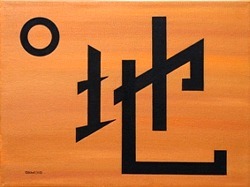 Calligraphy Version Season Cycle (2011), 16 × 12 in. 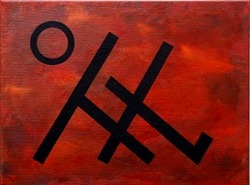 Calligraphy Version Land Construction (2011), 16 × 12 in. 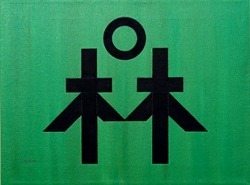 Primary location of this image is the Op Series. 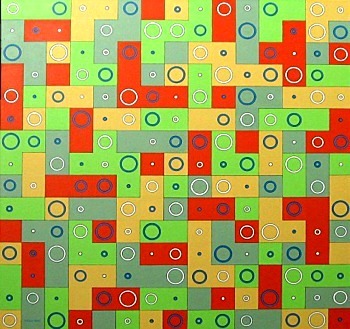 Cloudburst (2011), 48 × 24 in. 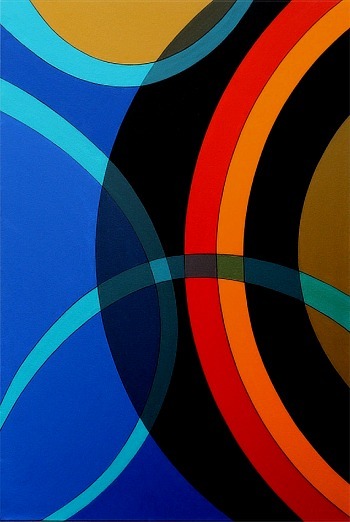 Passage (2008), 30 × 40 in. 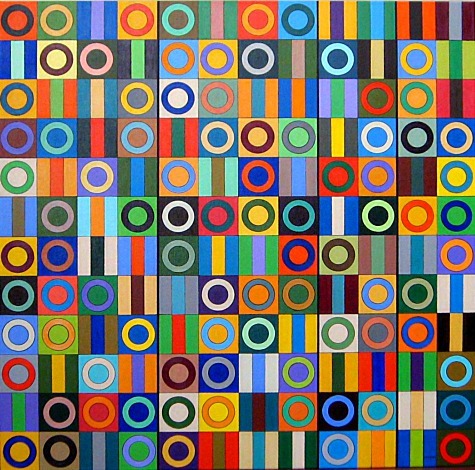 Full Circle (2008), 48 × 36 in. 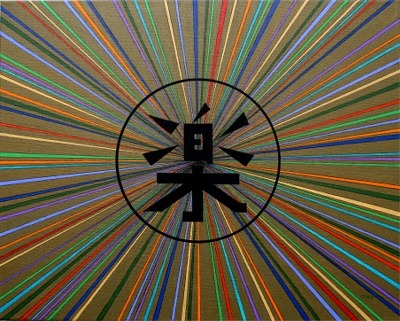 Dorje (2008), 24 × 24 in. 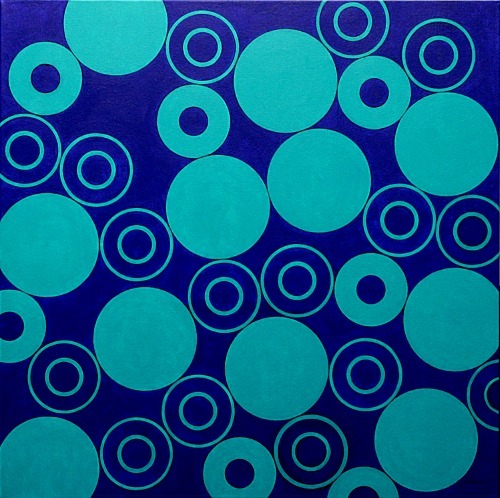 Ecosystem, More or Less (2009), 30 × 30 in.